The 2018 Pro Bono Conference. The Vance Center and the Pro Bono Network of the Americas are co-sponsoring the Network’s first annual Latin America Pro Bono Conference on March 12-13. 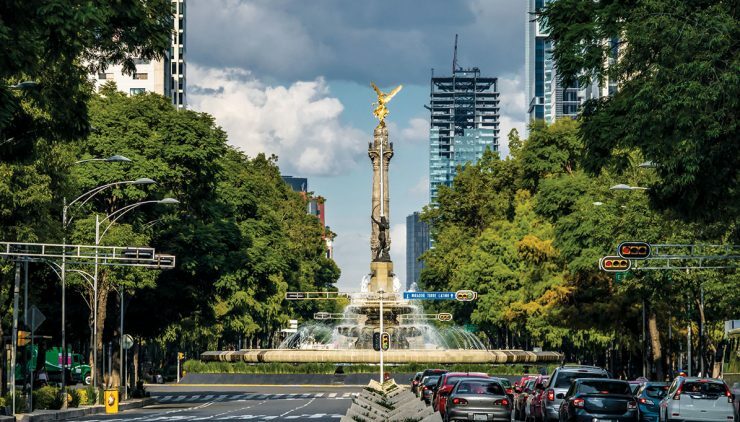 The Fundacion de la Barra Mexicana, Appleseed Mexico, and Centro Mexicano Pro Bono are co-hosting the conference, to be held at Torre Virreyes in the Polanco neighborhood of Mexico City. Leaders from the law firm, nonprofit, and academic sectors will explore strategies to strengthen pro bono and other collaboration in support of the rule of law and human rights amidst the Western Hemisphere’s current tumultuous times. Panels and workshops will include (1) protecting vulnerable populations; (2) combating corruption and encouraging ethical practice; (3) promoting human rights in business transactions; and (4) extraordinary mechanisms of accountability. The leadership of the Pro Bono Network of the Americas also will meet to strategize about bolstering current operations and expanding to new countries in the region. To see the full list of confirmed speakers and register for this event, click here. Women in the Profession (WIP). Just after the pro bono conference, the international steering committee of the Vance Center’s Women in the Profession program will hold a conference and networking event for women attorneys throughout the Americas. Topics will include overcoming barriers to advancement within the legal profession and identifying the organizational and business value of diversity. The scheduled keynote speaker is Irene Espinosa, Deputy Governor of the Mexican Central Bank. Click here to see the agenda and to register for this limited-capacity event. The Lawyers Council for Civil and Economic Rights.Council members will participate in the pro bono conference and then meet separately to move forward with the Council’s anti-corruption and civil-society-strengthening agendas. Initiatives currently include producing a legal guide to forming civil society organizations in countries experiencing electoral change, and protecting the use of social media that identify and condemn corrupt activity. The Council currently consists of 18 leading legal practitioners from thirteen Latin American countries and the United States with active experience as leaders of civil society in their respective countries.